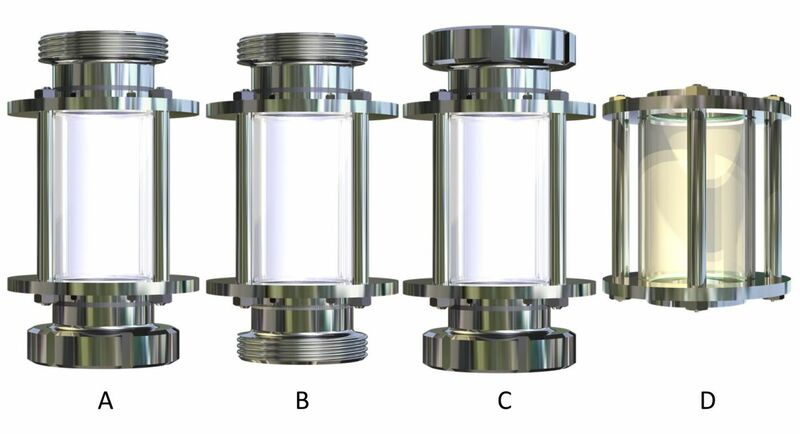 Tubular flow sight glass type 650 - Borosilicate and quartz glass, mica, sealing, level gauges, armature - Continental Trade. 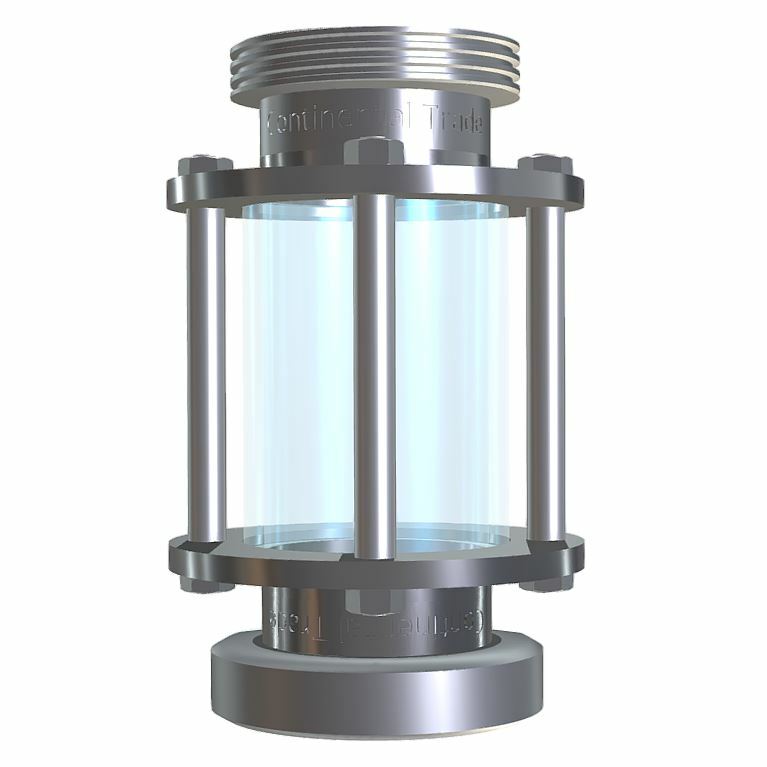 Tubular flow sight glass to be mounted on DIN 11851 piping. Tubular sight glasses of type 640 are suitable for installation in DIN 11851 piping and suitable for up to 16 bars of operating pressure. Apart of connection itself, sight glasses are without liquid traps. The flanges are clamped together using threaded rods. Rods also supports the flanges longitudinally to prevent excessive force on the glass tube, ensuring a long service life of the device. version D - without threads (for welding). The type 640 can operate at pressures up to 10 bar. 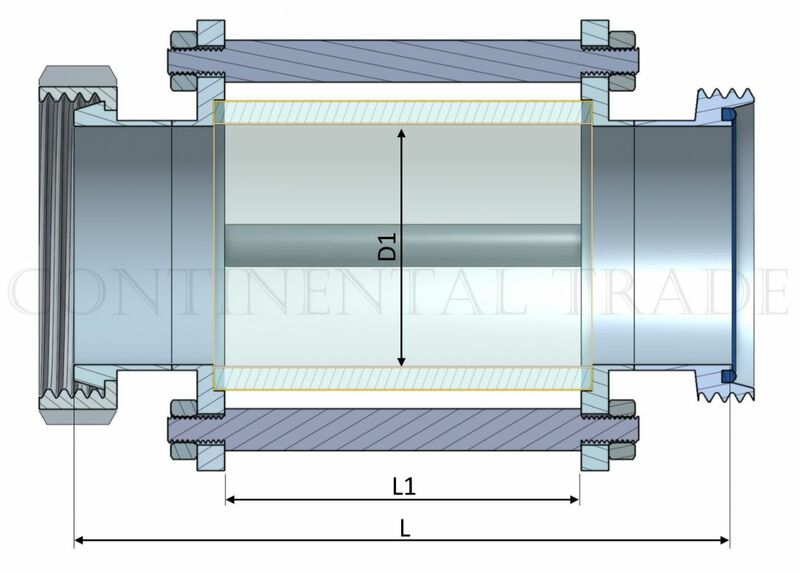 It is available for flanges from DN10 to DN150. The sight glasses are without liquid traps if correctly installed. NBR, PTFE or for request. 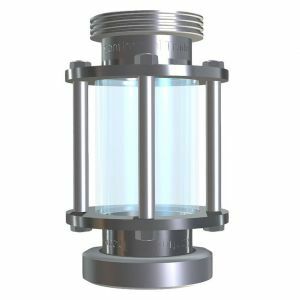 Flow sight glass with glass tube type 650 with flanges on both sides, for installation on flanges according to DIN 11851 (pipeline installation). with borosilicate glass max. 100° C (for short periods).